Mr. Cruz has given us a lot to think about. Most crucially, we all have a role to play in the way the country manages our military, and we all might benefit from having a bit more at stake. Despite what the progressive left might think, Elizabeth Warren is not an ideal running mate. In addition to giving up a Senate seat, combining Clinton and Warren could be like oil and vinegar. Colleges and universities can help prepare citizens for the challenges and opportunities related to working in their community by developing new programs and structures that meet their civic-minded vision and mission. Sadly, "In 1985 about half of Americans said they had a close friend at work; by 2004, this was true for only 39 percent," according to Wharton professor, Adam Grant. How Can You Plan in a Future of Uncertainty? Welcome to the age of increasing complexity, volatility, interdependence, diversity, ambiguity, flux and more. Bring it on. Our team ended the year with a resolution to start 2015 with a plan to somehow make it feel less crazy. Today's easy citizenship does not require much of us. Taxation enables us to support common projects and voting to elect candidates that a majority supports. But there are far too few experiences that bring us together in shared community and national purpose. Citizens, and especially media pundits, should pay attention Gen McChrystal's words and remember that America does not leave soldiers -- even ones who make mistakes -- in enemy captivity. 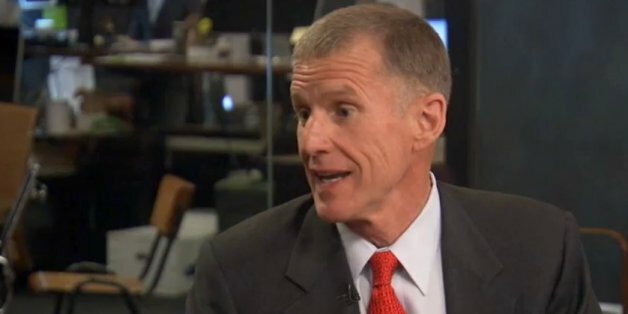 General Stanley McChrystal joins HuffPost Live to share his thoughts on Hillary Clinton. General Stanley McChrystal sits down with Alyona to discuss his real concerns about the recent article in "Rolling Stone" about him. With his every hair in place and his virtually homespun quips perfectly timed, Zakaria at Yale on Wednesday offered yet another manifestation of himself as the $75,000-a-speech-giver at investment bank dinners. I serve because I believe national service is the most powerful idea we have to transform America. Through it, we redefine the foundation of citizenship and what we expect from all Americans. We are damaging ourselves, our souls, and the earth. We are dealing out death at a distance, and slowly dying inside. Freedom is hard to bear. But so is war. So is our enslavement and inner blindness. Unfortunately gun supporters are either accidentally or intentionally omitting the entire nature of the amendment.